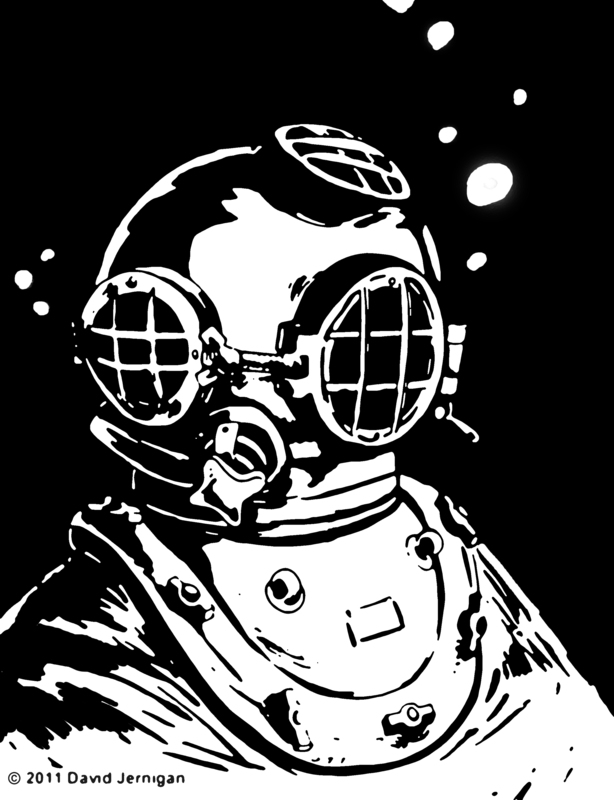 I came across a turn of the last century closed diving suit helmet in a museum. I created this sketch of the helmet and modified the sketch in Photoshop. The top sketch is the Photoshop modification; the one below is the original. 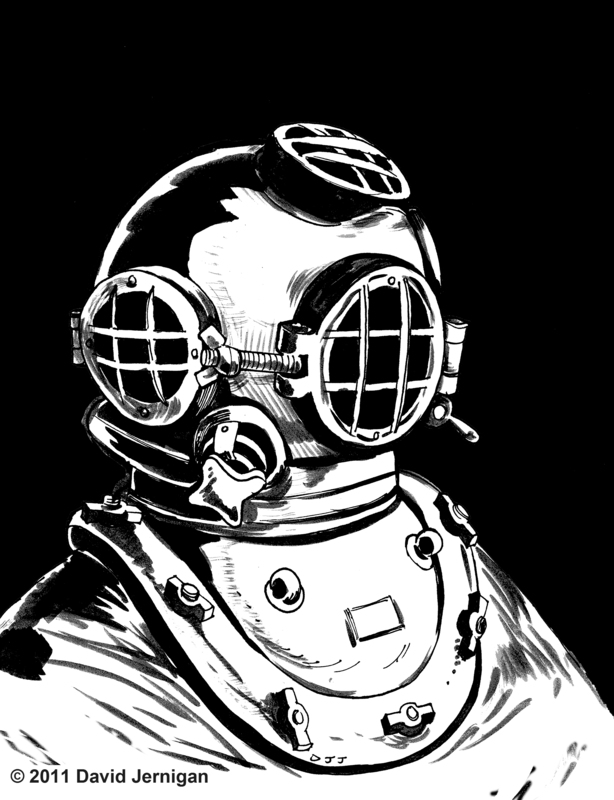 I have always had a fascination with old diving suits. I believe the Ghost Diver in Scooby Doo had a profound impact on me. Does anyone remember Captain Cutler’s Ghost in the glowing green dive suit from Scooby Doo? During a mandatory staff meeting at the school where I teach art, the presenter mentioned the power of teaching. The presenter said that if we could bring together that educational power it would be a great force. 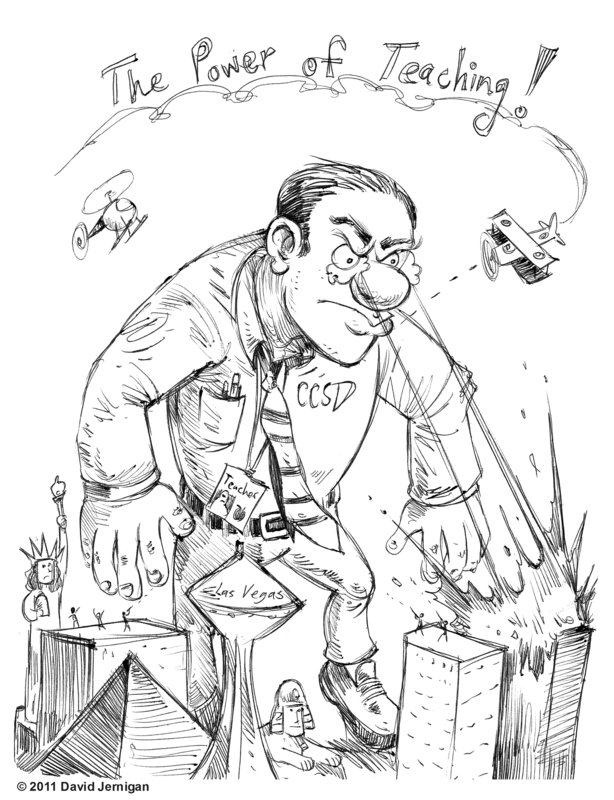 I imagined a hundred foot tall teacher attacking Las Vegas and drew this sketch. I don’t think that was the idea the presenter was trying to convey. Here is a tip of the hat to Robert E. Howard’s Hyborian age. I have always felt the campy fun and extravagance of the swords-and-sorcery genre has a strong appeal. The barbarian woman has been a part of kitschy adolescent-male fantasies for a long time. 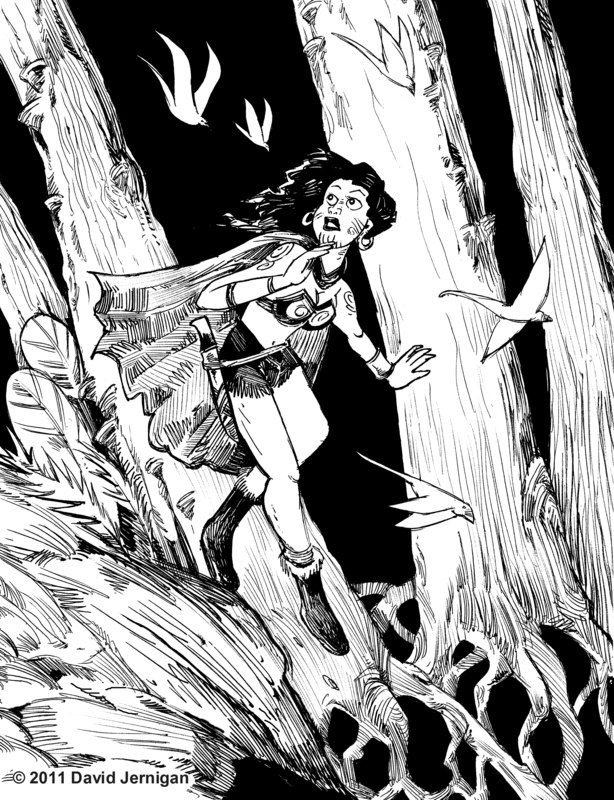 What this particular barbarian woman is running from, I do not know, but it is likely a huge, really scary monster. However, the likelihood of an enormous pelt wearing male barbarian rescuing her seems great. I created this drawing with pen and ink. 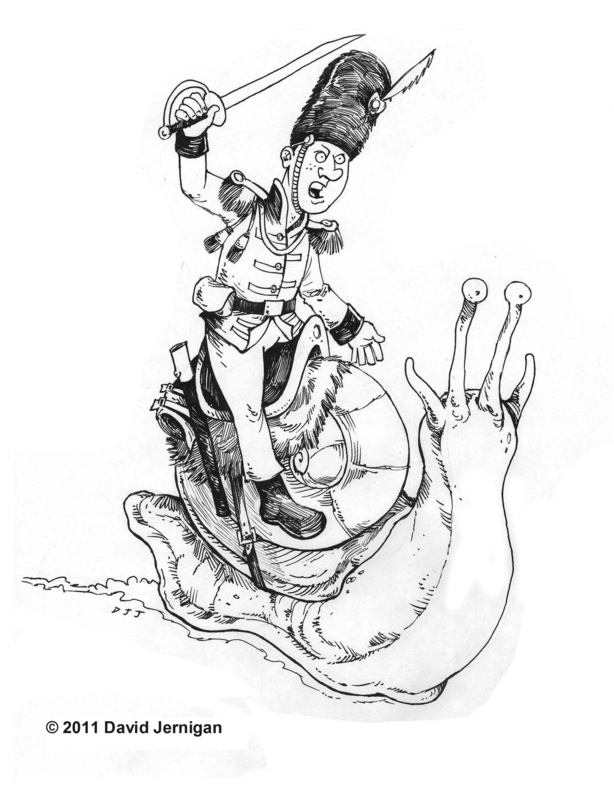 Snail Cavalry bravely charging into battle at an unbelievably slow speed.